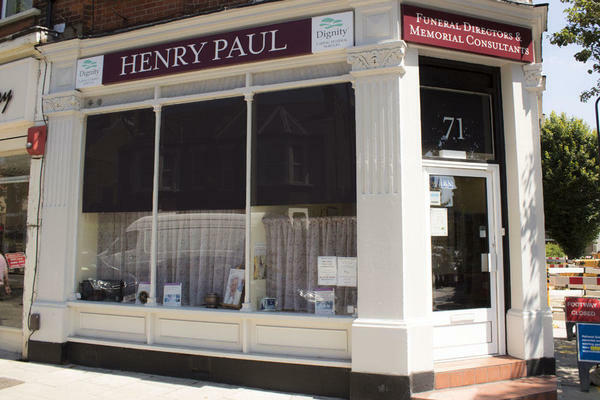 We are Henry Paul Funeral Directors in Hanwell. We understand how important it is to get things right when it comes to saying farewell to those we love, which is why we are dedicated to arranging and conducting the funeral you want for your loved one. We cherish our London community, so we do all we can to help every family that is entrusted into our care. The options you can choose from are limitless, because we believe a funeral is a personal and unique celebration of life. Therefore, whatever type of funeral you think is most fitting, from a traditional religious service to colourful woodland burial, we will always be able to help. Our funeral home has the highest standards of facilities for everyone in our care, with chapels of rest to spend time with your loved one, a room for services for up to 15 people, and disabled access. Please see our funeral homes in Ickenham, Ruislip and Ealing if any of these locations are more convenient to you. No matter what time of the day, we are here for you, so please do not hesitate to call us on 020 8579 7176. We have free parking on the side street next to our funeral home. You can find us opposite St Mary's Church Hall. Our staff are available 24 hours a day on 020 8579 7176 if you require our services outside of these hours.